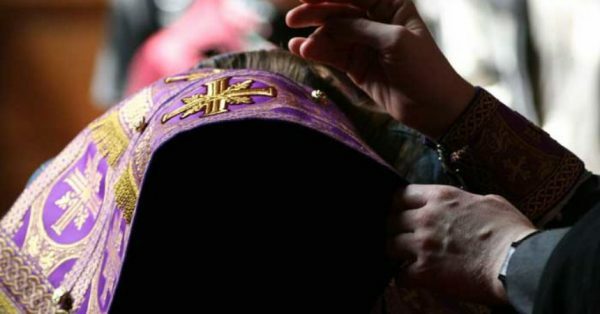 A priest in Thessaloniki received a tormented young man whom he didn’t know, for confession. He listened carefully to what he had to say, saw the problems that were troubling him, sympathized, and gave him directions as to how he might free himself from his passions and problems. At the end, he gave him absolution. Afterwards, the priest felt the need to speak to the young man in a more graphic way. As a mother takes a child and shows it what’s going on in the world around, he took the young man into the church and cast his eyes around looking for an appropriate scene. 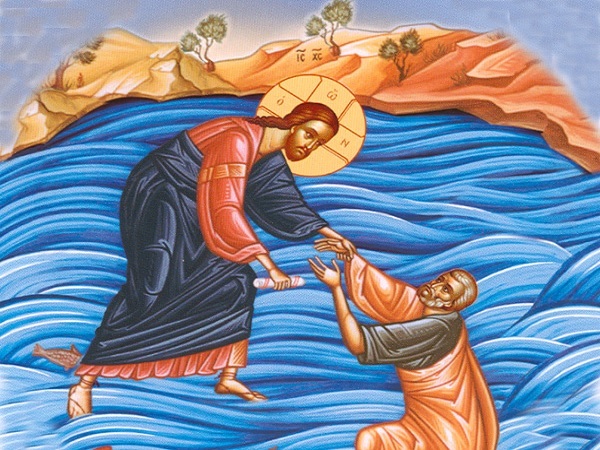 He stopped at the icon of Christ saving Peter from the waves, the one which shows Christ reaching out and taking Peter’s hand as the latter’s sinking. Peter had asked God to be able to walk upon the water and He told him: ‘Come’. But all of a sudden, Peter’s reason made him lose faith and he began to sink into the waters. The young man understood the allegory of the scene, thanked the priest and left. A few days later, the priest’s telephone rang persistently. It was the young man’s father, who wanted urgently to tell the priest something that had happened: the young man had been walking along the sea-front in the city when he heard a cry for help coming from the water. According to the account published in the newspaper Kathimerini, the young man leapt into the waters of the Thermaic Gulf to save an elderly gentleman who had, for reasons unknown, fallen into the sea. The incident occurred at one o’clock at night on the old sea-front of Thessaloniki, at the bottom end of Aristotelous Square. A group of young people were passing and heard the 80-year-old calling for help. Without a second thought, one of them jumped into the Gulf and, with the assistance of his friends, got the elderly gentleman out of the water. The latter was then taken off to hospital for observation. The ways in which God’s Grace works in our soul are incredibly innovative. The priest was amazed at the way the Gospel reading was visualized with the help of the icon and then imprinted on the young man’s soul. He was also astounded at God’s attention to detail. It was just the right moment, not only for the elderly gentleman to be saved, but also for the young man to experience in practice what had been transmitted to his soul in confession. According to what his father told the priest, he was overjoyed. The experience of succeeding at something when his life had been full of disappointments was liberating for him. But what was redemptive for him was that he found support in his life, by God’s Grace.